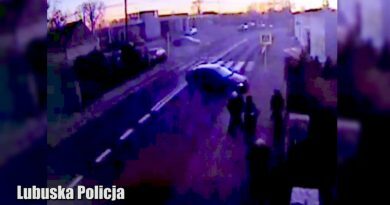 This furious woman planned to smash up her lover’s sports car but she destroyed 12 luxury vehicles instead because she could not remember which one was his. 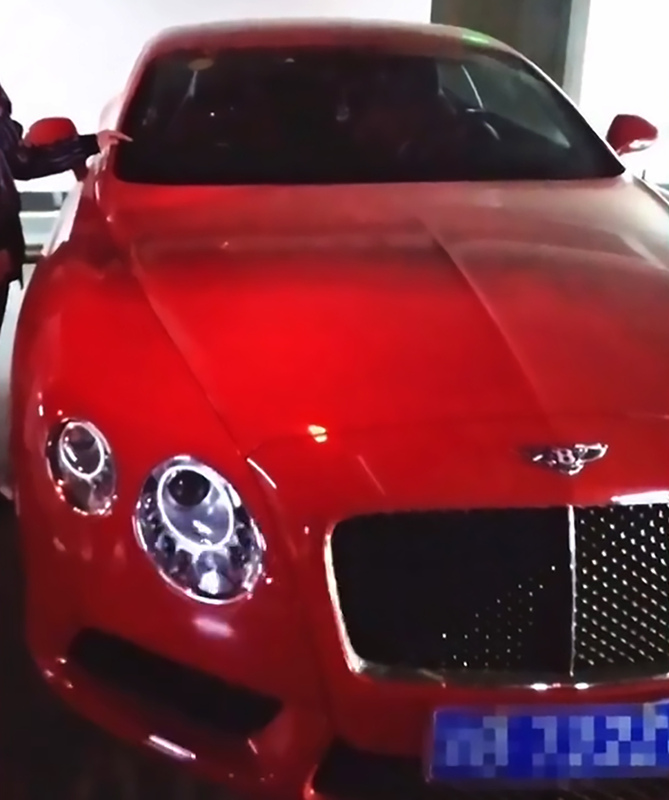 The Nanbin Road Police Station in Chongqing’s Nan’an District in south-western China has confirmed that they arrested the woman, surnamed Li, who is charged with damaging 12 cars belonging to marques such as Rolls-Royce, Bentley, Ferrari, Mercedes-Benz, BMW and Audi. 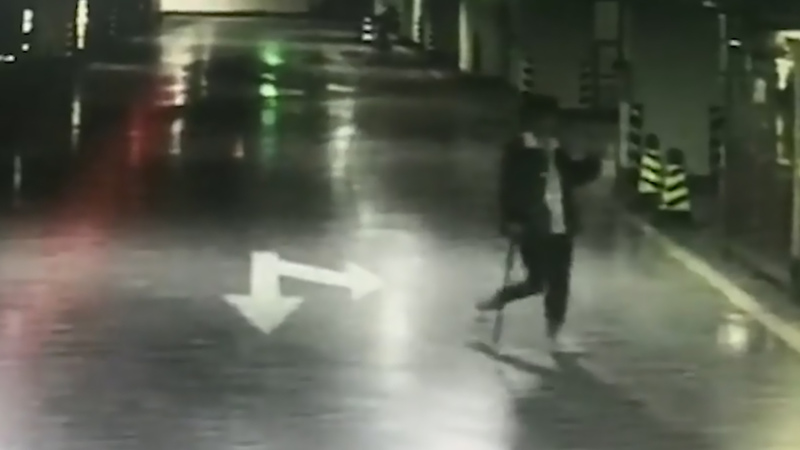 The incident took place in the underground car park of the same residential district where both Li and her wealthy boyfriend, surnamed Tan, live. According to the woman, Tan owed her money but was suddenly unreachable. She believed he was ignoring her on purpose, so she decided to force his hand. Authorities who described Li as a “young woman” said she sent her boyfriend an “ultimatum” through a mutual friend, threatening to smash up his car if he did not show up. She lost all patience and decided to carry out the vandalism 30 minutes later, but only then did she realise she had forgotten what car Tan drives and could not recall his number plate either. 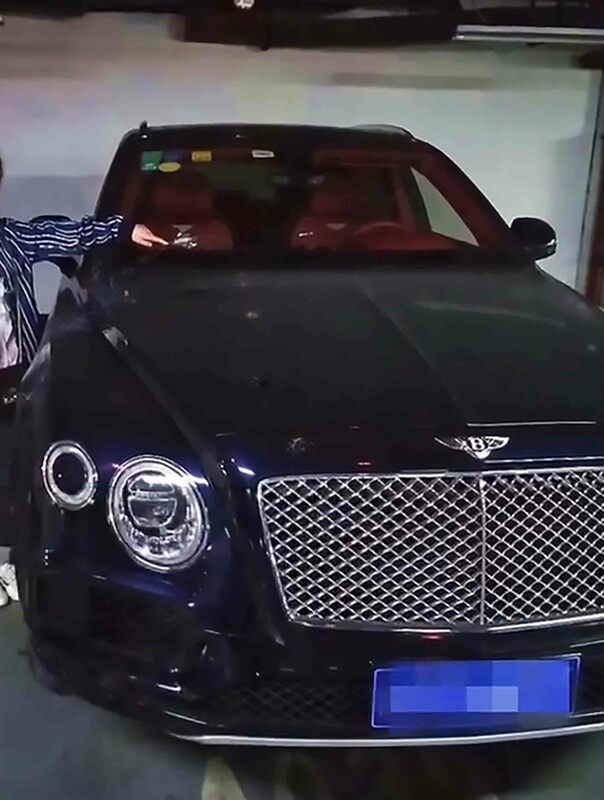 Li told police she could only remember that her boyfriend drives a pricey luxury car, so she took cobblestones and later a metal bar and began damaging 12 of the most expensive-looking cars she could find in the car park. 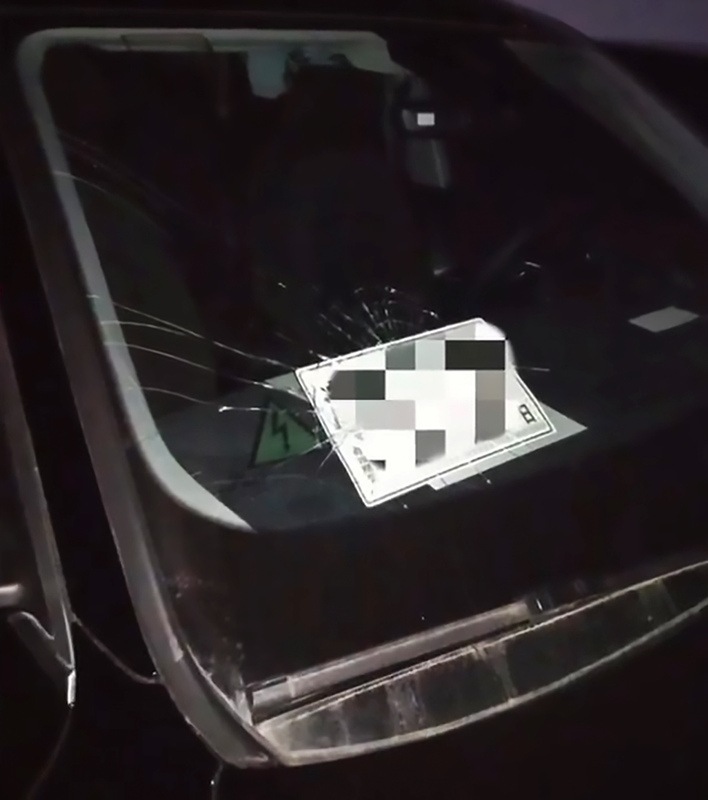 The incident was reported to the police on 28th March after one of the car owners, surnamed Liu, reported his vehicle’s body and windscreens heavily damaged. 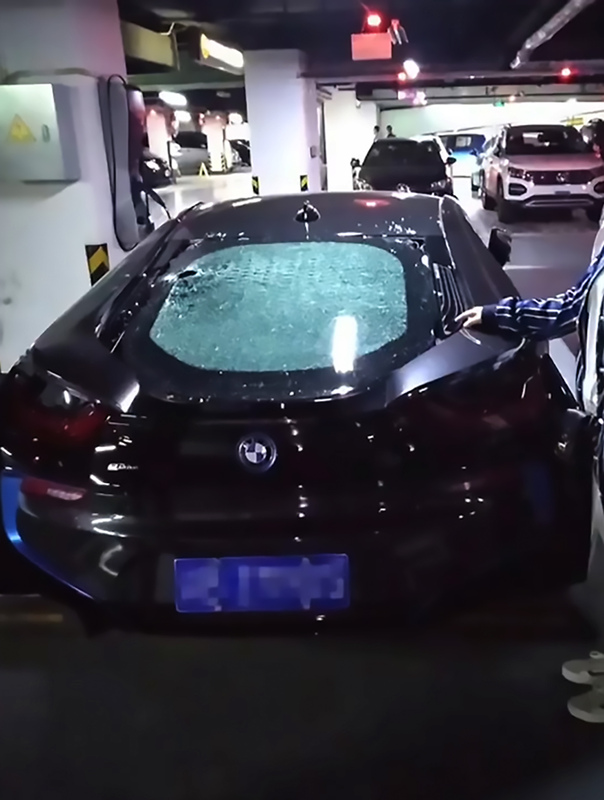 Liu noted that “more than 10 cars” nearby had also been struck in a similar manner, suggesting deliberate vandalism. 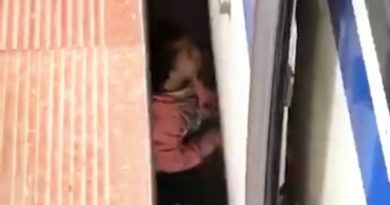 Li, who remains in custody while police continue their investigation, revealed that she went back upstairs to sleep after carrying out her revenge. 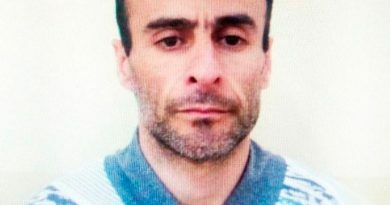 The authorities did not reveal what car Tan drives or how badly it was damaged. 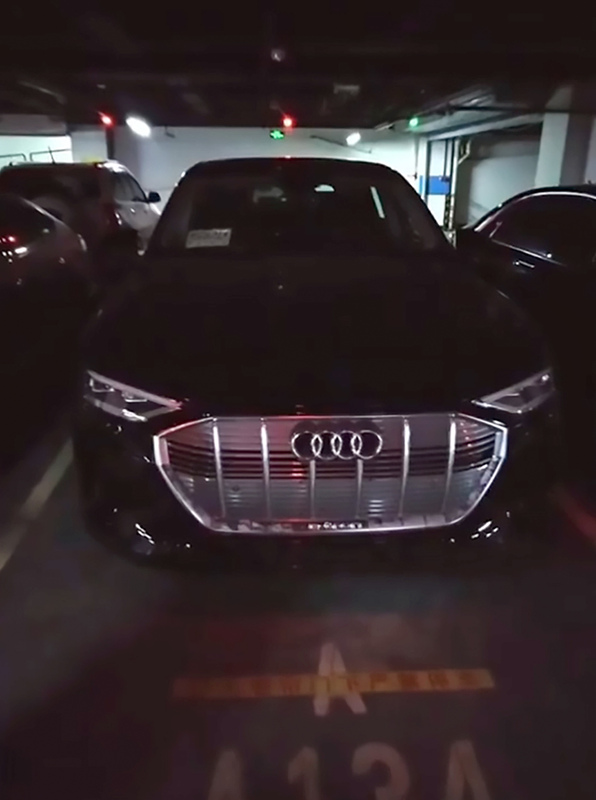 They have been unable to estimate the exact amount of damage done, saying over half of the vehicle will need to be shipped back to their country of manufacture for repairs.